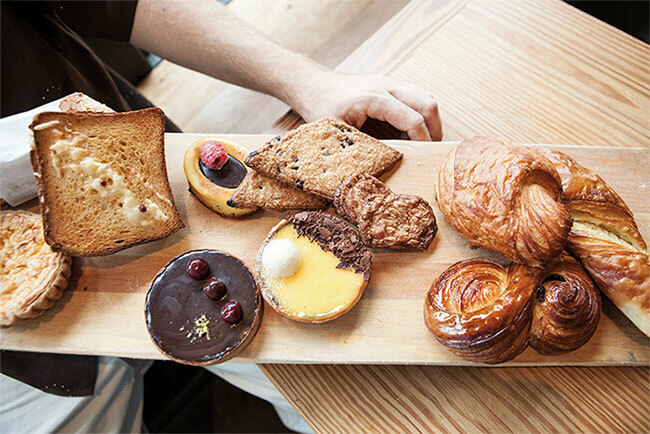 Bien Cuit is the Frenchified name of an excellent bakery in Brooklyn. It is not one of those fashionable establishments with beautiful aesthetics and attractive products. It is a bakery where real bread is sold, where this millenary art is blessed and where most of the products are made from whole grains. Leading it, we find Zachary Golper (so good #15), baker and owner of this singular business, as well as author, alongside Peter Kaminsky, of a recently published book called Bien Cuit. 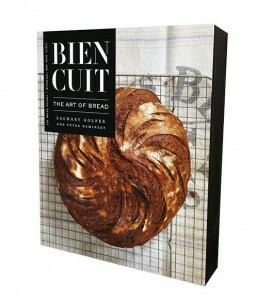 The art of bread in which he conveys his own way of understanding bread as a product which comes from nature itself and is therefore subject to its laws. Chef Golper introduces us into his passionate world in this article and presents us with two recipes included in his book. Full excerpt credit is. Excerpted from Bien Cuit. 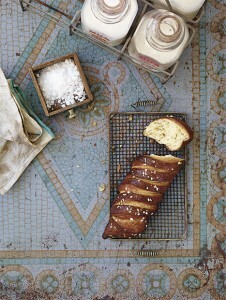 The Art of bread by Zachary Golper and Peter Kaminsky, Copyright 2015 by Zachary Golper with permission by Regan Arts. In bread making, we are taking a few key ingredients and maximizing the flavors, aromas and textures through careful measuring of ratios, mixing methods, temperatures and overall fermentation times. Perhaps what sets this realm of the culinary arts into its own category is the fact that the bread baker must be constantly adapting to environmental changes. No day is ever the same and no loaf is ever identical to another. This is artisanal baking. 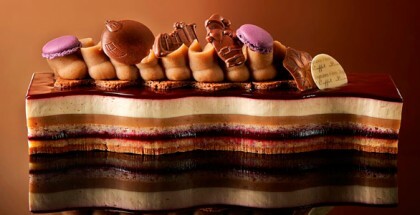 The goal is consistency and maximum quality, so this requires the baker to rethink the approach constantly. In many ways, it is an occupation that simply harnesses nature, by allowing enzymes, bacteria and yeast to feed on the starchy substances we have been growing and harvesting from the flat lands of the earth for thousands of years. It is only recently that science has been able to decode the phenomenon of bread making, which has certainly made our jobs easier than ever before! Though with this knowledge at hand, as an artisan baker, I am still mostly reliant on my instincts in the same way bakers have been since the dawn of civilization. Strains of yeast and bacteria will vary from location to location and respond differently to every type of food they consume. I find that taking the time to ferment each item alone, in a variety of formats, allows me to understand the spectrum of flavors they will ultimately enable and the rate at which they ferment, as well as when their flavors peak. As in all aspects of the kitchen, ingredient blending is crucial to giving identity to the item being made. In my case I will ferment a grain, a flower, a tuber, a vegetable, a nut, a sugar, a milk or a fruit in a variety of methods and combine a couple of them in a fashion that suits the metabolism of the yeast and bacteria, yielding flavors that peak at similar times. This is the art of understanding the composition of a well-made dough, and crafting it through learning its potential and its limitations. Once created, then I must train the bakery staff to work within these guidelines. This is never easy. Most of the baked goods we produce are made with whole grains. Not simply because of our awareness of its digestive and nutritional health benefits, but also because of its gastronomic contribution. When a dough has been mixed, folded and shaped, it must then be matured (usually in a cold environment for somewhere between 24-68 hours) before it is ready to bake. At this point I bake it slowly at around 220ºC to allow the loaf to develop a thick, deeply colored crust, evoking maximum Maillard reaction. The loaf must cool completely before it is to be cut into or torn open. The gasses produced during the process of fermentation are still within the air pockets of the interior of that mahogany loaf. 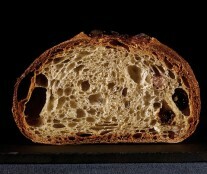 Those gasses must rest with the loaf so that the crumb may continue to absorb them, thereby enhancing the nuances that will be detected by the palate when eating it. A well-made loaf is usually best enjoyed long after it has left the oven. It is for this reason that I do not serve hot bread in my bakery. 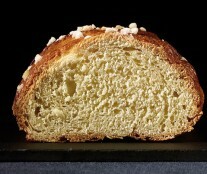 Additionally, most of the baked goods we produce are made with whole grains. Not simply because of our awareness of its digestive and nutritional health benefits, but also because of its gastronomic contribution. The bran of a grain is where the vast majority of the minerals, vitamins, flavonoids and essential fatty acids are located. The pale interior of the kernel is little more than starch and protein. I cannot stress enough the importance of whole grains if the effort is to evoke the maximum potential flavor from a grain. Additionally, the wild yeast and bacteria that float through the air in search of food and find the grain in the fields will be harbored on the exterior part of the bran and will become beneficial component of your dough during fermentation. There is no doubt that purely white flour with no bran has its place in baking (as you will see in the recipes provided here) and is excellent for breads fermented with milk. White flour, depending on its protein level is superb for adding strength to the dough, and can yield a couple types of pre-ferments that are distinct and truly lovely as a contributing factor to a bread. But it is in the bran that we can taste the differences in the grains from field to field. 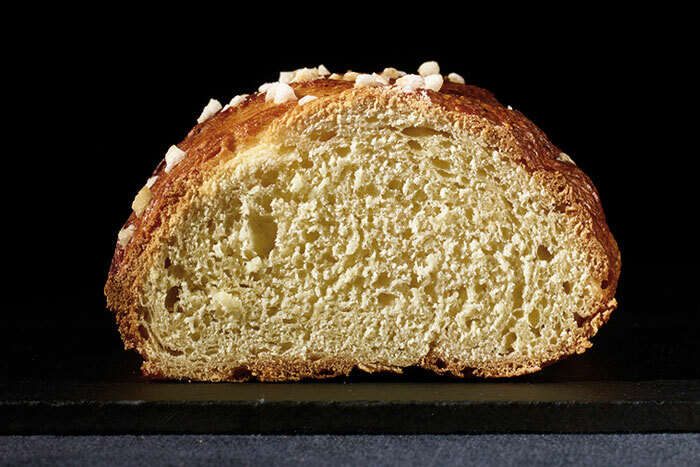 It’s a little disappointing to me how many bakers are concerned with the crumb structure of a loaf and will sacrifice mouth feel and flavor for an airy crumb. 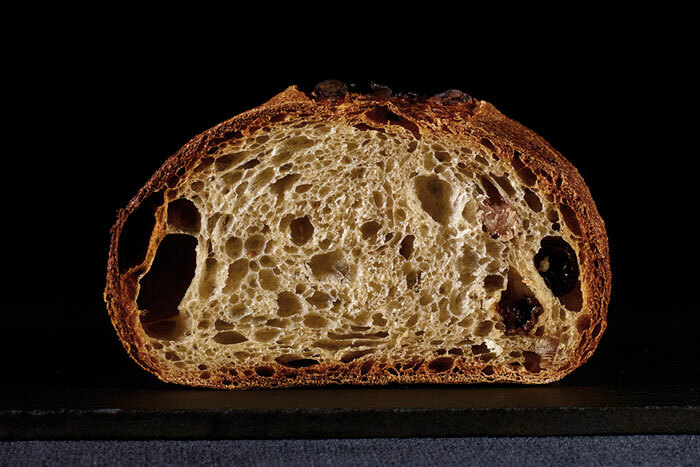 I hope it is a fad that quickly fades, because I’ve found that by fermenting slowly, in cold environments, with at least 50% whole grain, we end up with the best of both worlds… open crumb, moist chew, deep aroma, nuanced flavor and balanced acidity. It seems that making bread the way it was made for thousands of years just…well, it just works. Fantastically. Every year, starting in late September, I begin receiving flours sent to me from various parts of Europe and North America. I ferment them and compare their gustatory qualities and baking characteristics. The differences between regions are profound. And when I’m able to get my hands on perennial grains, I am always impressed with the intensity of flavors that their deep root systems are able to pull from the soils they are grown in; especially in their second or third year of growth. Personally, I share the philosophy of many artisan bakers, and lean toward using grains that have been grown organically, and milled without being blended with other flours or additives. Then I will add my own ratios of a malted barley or malted rye to get the enzymatic process underway, and to my desired rate of fermentation. I am fascinated by the diversity of nature, and I enjoy celebrating the uniqueness of each year’s harvest. However, it is my duty to control the outcome and give my customer the loaf they came to me for. Behind the curtain, the miller, the farmer and the health of the soil itself are paramount to the success of our bakery. At the end of the day, we are in business, and the customer must be the one we focus on. But behind the curtain, the miller, the farmer and the health of the soil itself are paramount to the success of our bakery.